Copyright by CCU office of Information Technology. All rights reserved. 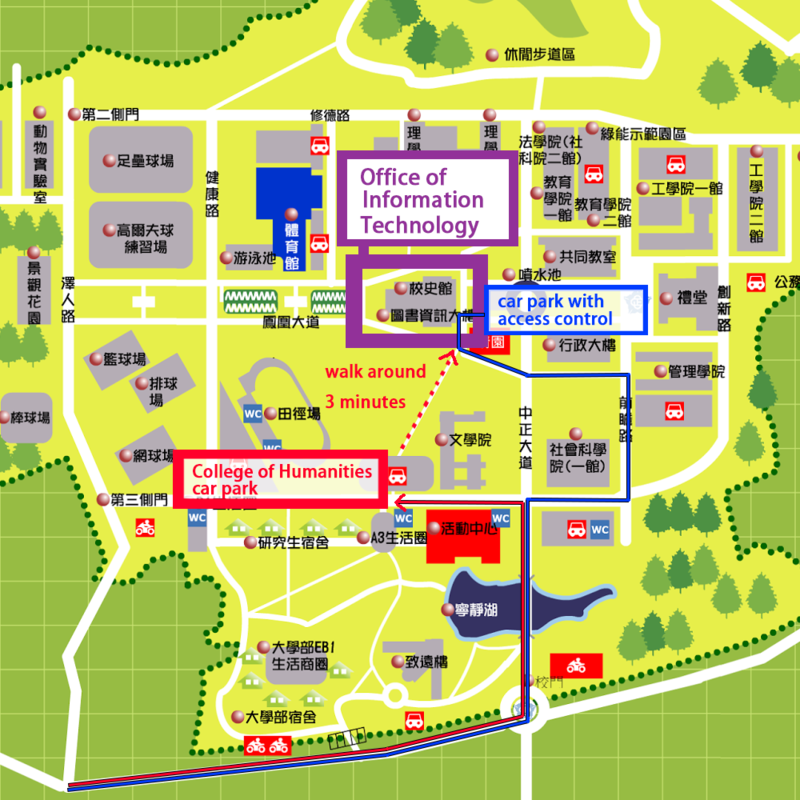 Route 2: According to the blue route, after entering the school gate, go to the Academy of Social Sciences and turn right. Go to the foresight road and turn left. Then proceed to the administrative building and turn left. You can go to the Tuzi Building. (Car parking with access control). After entering the school, go straight ahead and walk to the fountain. Turn left to the library. No.168, Sec. 1, University Rd.,Minhsiung Township, Chiayi County 62102, Taiwan(R.O.C. )Copyright © 1986-2018 by CCU office of Information Technology.